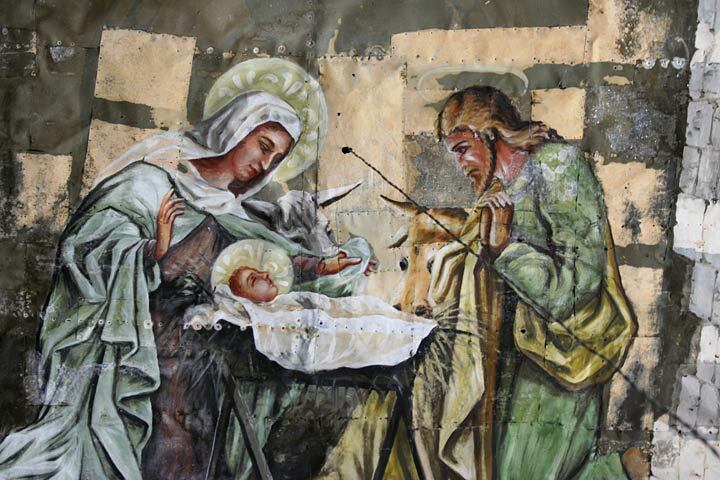 The ceiling of the church of Loon is covered by a large number of mural, painted by Ray Francia in 1938. Here, Joseph and Maria can be seen admiring the child Jesus. This picture has been viewed 39 times.